Dr. Lynne Siemens is an Associate Professor in the School of Public Administration at the University of Victoria. Her research is varied and crosses disciplinary lines with a focus on knowledge transfer and mobilization at individual, organizational and community levels. Building from her doctoral work, Dr. Siemens is focused on economic and community development in rural areas with a specific focus on ways that rural small businesses and entrepreneurs address the opportunities and challenges that exist by virtue of their geographic location. To conduct this research, she traveled to many communities within rural and remote parts of Vancouver Island and the surrounding smaller islands. This work is of interest to individuals, small business owners, and the communities as they work to sustain their communities economically and socially as well as government policy makers. Dr. Siemens is also exploring academic entrepreneurship, teams and collaborations. Funded through the Social Sciences and Humanities Research Council, this research has focused on the nature of collaboration within multi-disciplinary and geographically dispersed teams, with the objective of developing effective work practices to maximize the benefits while minimizing the associated challenges. Serving as management advisor, she is also part of Implementing New Knowledge Environments project, a 7-year research project with over 40 active researchers and a budget of $2.5 million plus in-kind funding. In addition, Dr. Siemens is studying INKE to trace the development of a collaboration as it is underway, rather than as reflection at a project’s end. Finally, she is working with CenterNet to support those wishing to start a Digital Humanities Center with a listserv and a resources webpage. In terms of teaching, Dr. Siemens is an instructor in the Masters of Public Administration and Masters of Arts in Community Development and serves as graduate advisor to the MACD program. 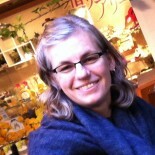 She leads a workshop in Project Management at the Digital Humanities Summer Institute at the University of Victoria. In her other life, she is an amateur photography with pictures posted at siemensphotography.wordpress.com.